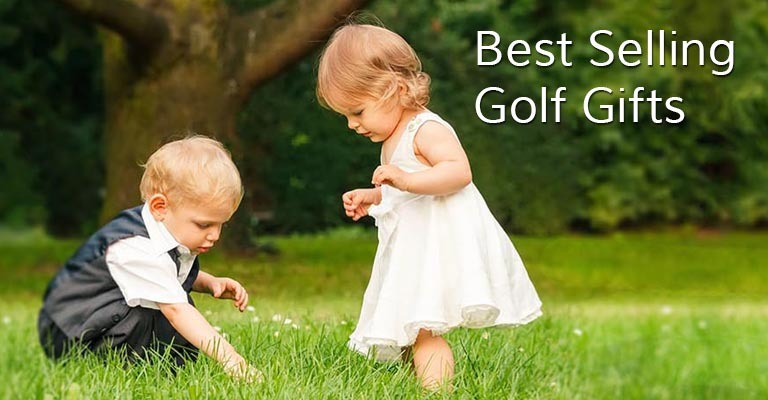 Our Designer Baby Golf Gifts best sellers are sure to please family and friends of your newest golfers. 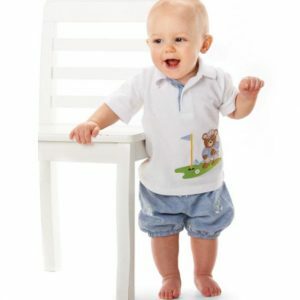 No matter what the season, we carry designs that are made with 100% comfortable cotton which are easy maintenance for families on the go. 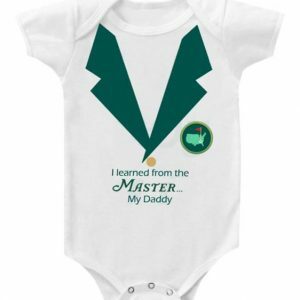 Our Daddy’s Caddy outfits are so popular that you should buy now while supplies last. This outfit is always well received and a requested favorite with our returning customers. The boy and girl outfits with smiley face golf balls on the backside, look cute coming, as well as going. They put smiles on the faces of all who see them. Another wonderful feature is that all size 3/6 and 6/9 outfits come with bonus booties that have old fashioned kilties and lace up ties. Order now to make sure your gift arrives in time for that special occasion. We have many years experience in the design field. 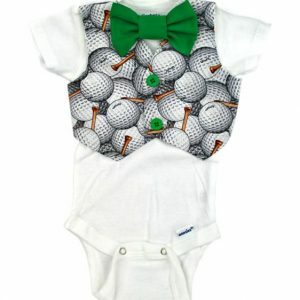 Our baby outfits will make your little golfer a stand out in the crowd. If you have a special request for an item, call our toll free number at 866-453-4438 or email us. We are here to serve you.